Marigny-l'Église is a village some 15 kilometres south-east of the town of Avallon. The village is on the secondary road which connects at the village of St Martin-du-Puy with the main road from Avallon. 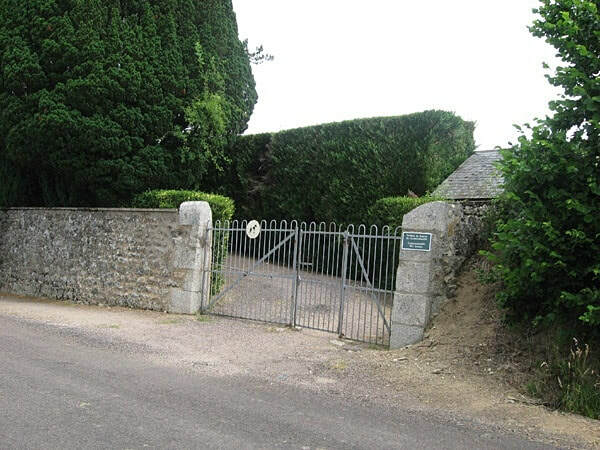 The communal cemetery is north of the village, east of the road from Avallon. 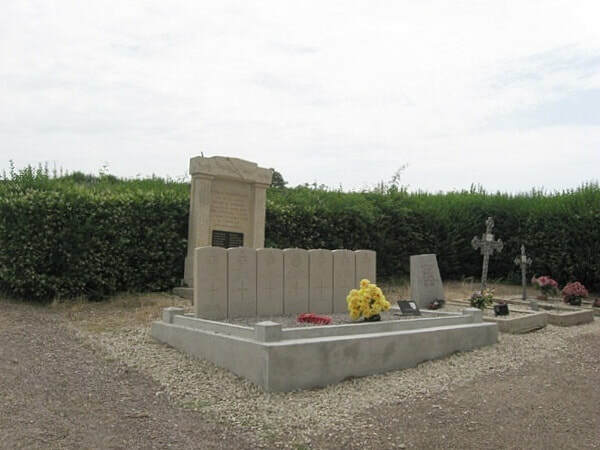 East of the main entrance are the graves of six airmen of the Royal Air Force and one airman of the Royal Canadian Air Force. All were members of one crew, and perished when their Halifax crashed after colliding with an American aircraft. Incident: The whole crew died when their Halifax collided with the American Liberator Bomber B24H 42-511987. 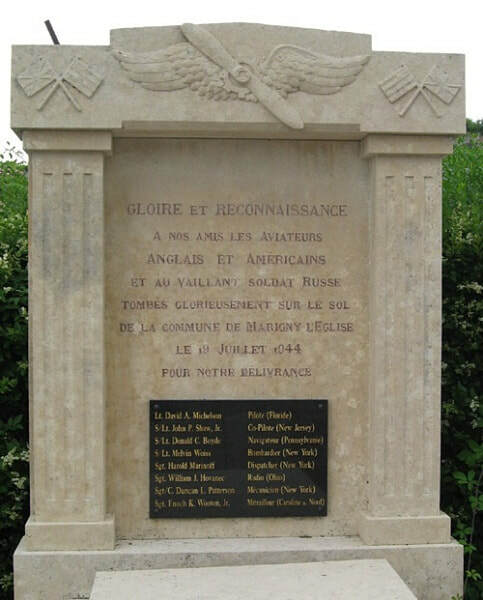 850 Sqdn, crashing at Marigny-l'Église. Sgt. 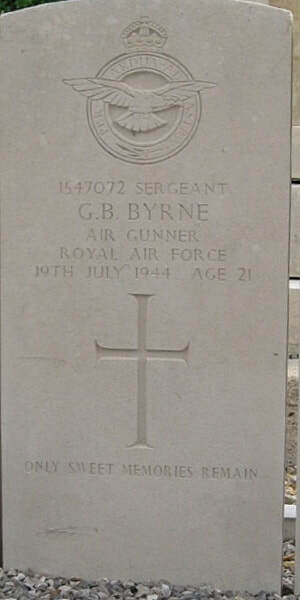 Grayham Bancroft BYRNE, RAFVR, aged 21. Son of Arthur and Mary Byrne of Blackburn, Lancs. Flt. 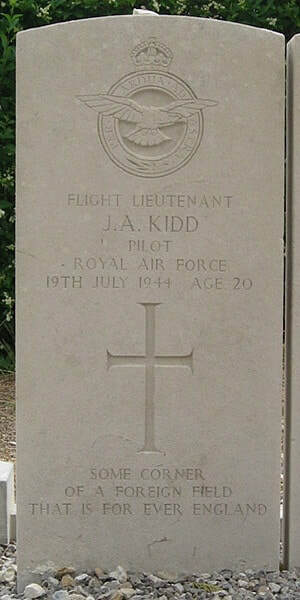 Lt. John Allan KIDD, RAFVR, aged 20. Son of Roland Arthur and Olwen Mary Kidd of Bristol. 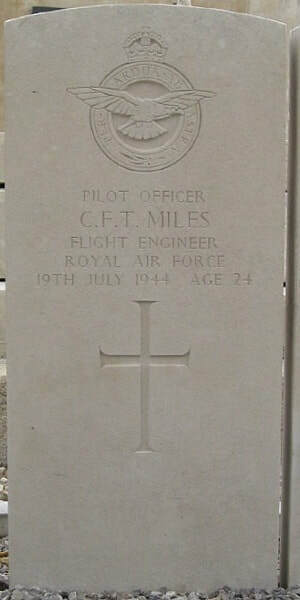 Pilot Officer Cyril Frederick Thomas MILES, RAF, aged 24. Son of Charles William and Alice Ruth Miles of Wimbledon, Surrey. Sgt. 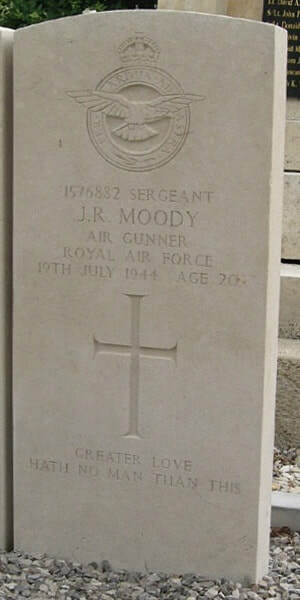 James Revill MOODY, RAFVR, aged 20. Son of Charles Revill and Edith Ann Moody of Colwall, Herefordshire. Flt. Sgt. 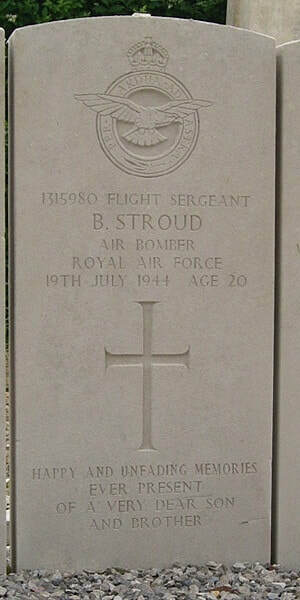 Bernard STROUD, RAFVR, aged 20. Son of Frederick Ernest and Sarah Eveline Christabel Stroud of Hereford. Flying Officer Kenneth Robertson URQUHART. 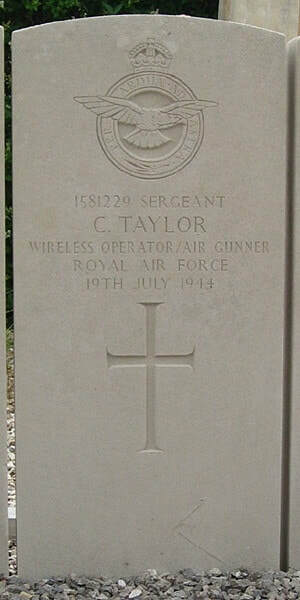 Royal Canadian Air Force, attached RAF, aged 23. Son of Kenneth and Mina Robertson Urquhart of Williamstown, Ontario, Canada.